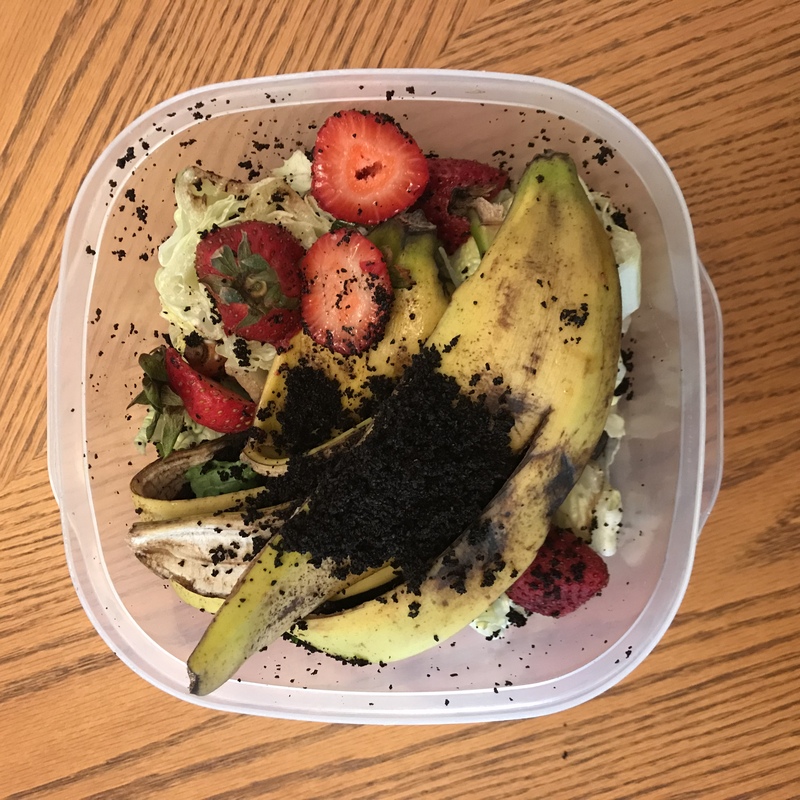 This week I learned how to compost. Turns out it’s really easy! This is what 3 days of composting looks like. Imagine what it will look like in one year… two years! I think I’m going to need a bigger bucket!